The 10 Best Pet Stores in Louisiana! Your pet is an extension of your family and you need to take good care of them. Providing healthy foods, toys and activities that keep them active, and care that treats illness or injuries while maintaining their health are important things to consider. Just like evaluation your own stores and care providers, you want to do that same thing for your pet. 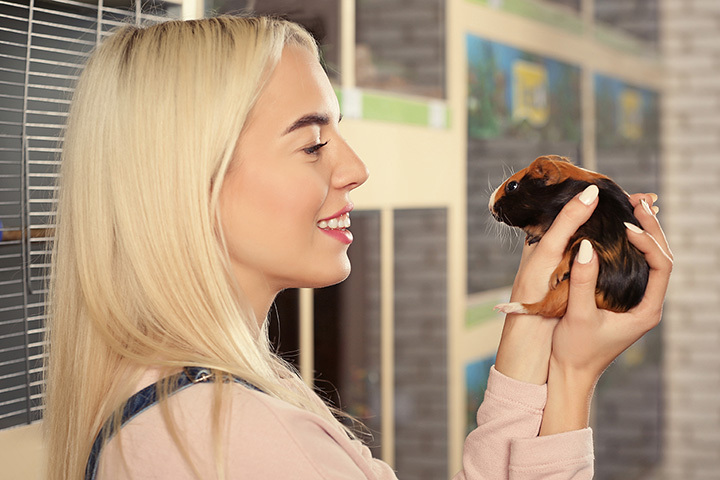 Below are 10 top-rated pet stores around Louisiana that cater to your friends furry, feathered, scaled, or otherwise. If you follow a healthy lifestyle and want that for your pet, too, then you need to visit Saylor’s Pet Depot in Covington, Louisiana. Offering healthy alternatives to standard store brands full of fillers that don’t add nutritional value to food and by-products that can be potentially health damaging, Saylor’s is a full-service pet supply store, grooming and boarding place, and state-of-the-art animal hospital all in one. Open every day except Sunday, Saylor’s carries trusted brands like Blue, Nulo, Holistic Select, and Natural Balance. They have a VIP Membership program that saves you even more, and fun activities each month like the Yappy Hour and Re-Furr a Friend program where pets get free treats. If you’re in the market for a new pet for you family, wouldn’t it be great to find a place that offers a health guarantee? That’s what you’ll get at Adventure Pets. Located in Mandeville, Louisiana, Adventure Pets has opened in 2001, and puts customers and pets first in everything they do. Whether you’re looking to add to your family with a new pet or purchase food and supplies for the one you have, you’ll find plenty of quality name brand items in stock for dogs, cats, reptiles, fish, and other small animals. A sponsor of numerous events that support local groups, Adventure Pets has membership in several groups that promote positive experiences in pet care. Have you ever seen a red-eyed tree frog? You could if you visit Pet Zone in Shreveport, Louisiana. You’ll love the great selection of small pets and fish because it’s the best in the area. Open every day, this family-friendly store has everything you need to take good care of your pet. With sales that will take it easy on your budget, they stock brand name food and supplies, and offer pet-friendly items like thunder shirts that your pet can wear to reduce anxiety during storms, and freshly made dog treats. Looking for a new pet? The staff at Pet Zone can help you find places where adoption fees are waived on dogs and cats. If you’re tired of the lower quality pet food and supplies you find at the big box stores, stop by Deridder Pets in DeRidder, Louisiana. Known around the community as the place where your pet is the top priority, this isn’t your ordinary pet store. The staff is friendly and will do whatever they can to make your shopping trip easy and fast. If they don’t have an item you’re requesting, they’ll find out where you can get it. It’s nice to know that you can count on getting healthy pets when you purchase from Deridder Pets. Open every day except Sunday. Pets Paradise is just that. Located in Vidalia, Louisiana, Pets Paradise is locally owned and operated with a great selection of reptiles, birds, small animals and all their food and care needs. If you’re new to owning an aquarium, they’ll help you with everything from set up to maintenance, and make suggestions on the type of fish to purchase based on your preferences. Do you love the exotic? Do you love tropical fish? Then a visit to Aquarium Central is in your future. The only store in Lafayette to be owned by a biologist, Aquarium Central takes a scientific approach to pets. Opened in 2015, owner Joey Bennett takes pride in introducing customer to unusual pets. Concerned about owning an exotic pet or fish? No problem with Aquarium Central around. You can always count on factual and professional advice for caring for your pet, setting up, and maintaining your aquarium and terrarium. Big and easy is the best way to describe Big and Easy Pet Shop & Rescue. Armed with a specific mission, Big Easy Pet Shop & Rescue is a friend to four-legged creatures, large and small. Featuring quality food and other products for your pet and locally made with love accessories available in 2 convenience locations, this pet shop is much more than a pet shop. The animal rescue is a non-profit organization that rescues, fosters, offers medical treatment, and ultimately finds loving homes for animals who have been neglected or abused. Stop by any day of the week and get your pet supplies or give a home to an animal. If you’ve never considered birds as a form of entertainment, you might change your mind after visiting Wild Birds Unlimited in Baton Rouge. The friendly and knowledgeable staff can answer your questions about how to care for our feathered friends in the wild by making recommendations on setting a bird bath that will provide water in the hot summer months. They can also give suggestions of the type and quantity of food to put and which birds will be drawn to certain foods, and show you various feeders. You’ll save even more when you join the Daily Savings Club. When Café du Bone opened in historic downtown Slidell, Louisiana, the dream was to create delicious and nutritious treats that dogs would enjoy. This locally owned pet store and grooming salon has more than achieved that dream, and has earned awards and recognition for putting pets first with premium foods and everything your dog needs. You can have a custom-made cake for your dog’s next birthday, and join the Frequent Fideaux Club or more savings. Opened in 2013, Zen Pet Retail & Grooming quickly became known as the best in the dog food business with a loyal customer base that continues to grow. Offering nothing but the best in healthy, all natural pet foods, accessories, and hygiene products, the dedicated staff understands that a healthy pet is a happy pet. More than just a retail pet store, Zen Pet Retail can help with all your grooming and pet sitting needs, emergencies, and rescue clinics.